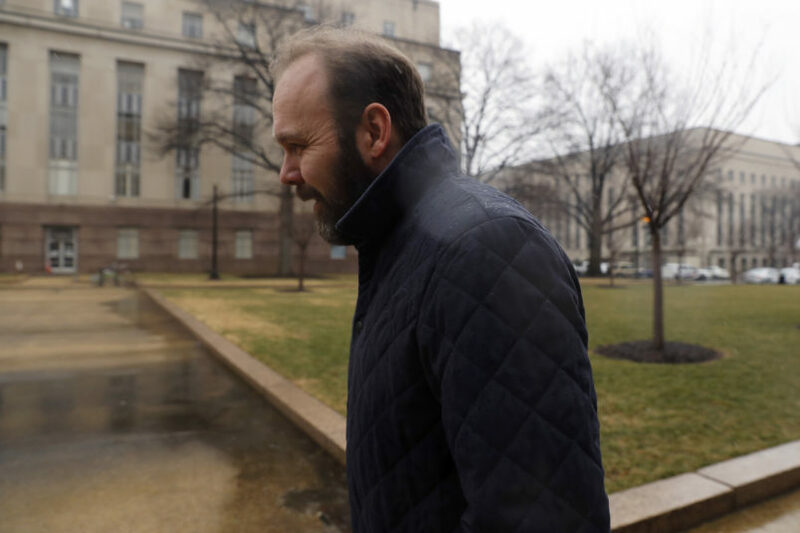 Rick Gates, the deputy of former Trump campaign chairman Paul Manafort, will plead guilty to “fraud-related charges,” the Los Angeles Times reported Sunday. The Times cited interviews with unnamed people familiar with the case. One person with “direct knowledge of the new developments” said Gates’ revised plea would be presented in court “within the next few days”: “Rick Gates is going to change his plea to guilty,” the source said. CBS News later reported later Sunday that, according to unnamed sources familiar with the negotiations, Gates was expected to plead guilty. CNN reported Thursday that Gates was nearing a plea deal with Mueller. Gates and Manafort both pleaded not guilty to multiple charges in October including conspiracy against the U.S., money laundering, acting as an unregistered foreign agent and failing to file reports on foreign bank and financial accounts. CNN reported last week that Mueller’s team was preparing new, tax-related charges against Gates, perhaps to increase the pressure on him to cooperate. Gates’ cooperation would aide Mueller’s team’s case against Manafort. One unnamed person familiar with the “pending guilty plea,” in the Times’ words, told the paper that Gates’ cooperation would be the “cherry on top” of the case against Manafort, should Manafort decide to pursue his not-guilty plea at trial.